Dedicated to Richard Wagner, this book is rich in Nietzsche’s enthusiasms for Greek literature and especially tragedy, for Schopenhauer and Wagner’s “Tristan Und Isolde”. Its central vision is the idea that “only as an aesthetic phenomenon are existence and the world justified”. 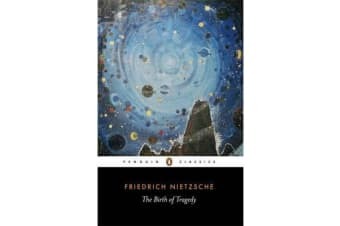 Making his distinction between the Apollonian and the Dionysian spirit, Nietzsche presses the reader to consider why it is that we derive pleasure from tragic art, and what is the relationship between our experience of suffering in life and in art. “The Birth of Tragedy”, first published in 1871, was the author’s first book.